A few days ago my 80 year-old mother, connected with me on FaceTime for the first time. It just so happens I was with a couple in counseling. With their permission, I answered the call and politely informed mom that I was in-session. Afterwards I called her and we had several laughs as we talked about her escapades learning how to use her first iPad. My earliest recollection of my mother was when I was about 3 years old. She picked me up out of a playpen and sang me a lullaby. I have vivid memories of that moment, including what she was wearing, the lullaby she sang, and most importantly how I felt as a little toddler cradled in her arms. When I turned 5 years old my mom went to work full-time. I remember driving with dad to take her to her new job. I sat in the backseat confused about what was happening. As mom got out of the car and started walking, big crocodile tears flowed from my eyes. My little brain couldn’t understand that she was going to work. I suddenly felt disconnected. 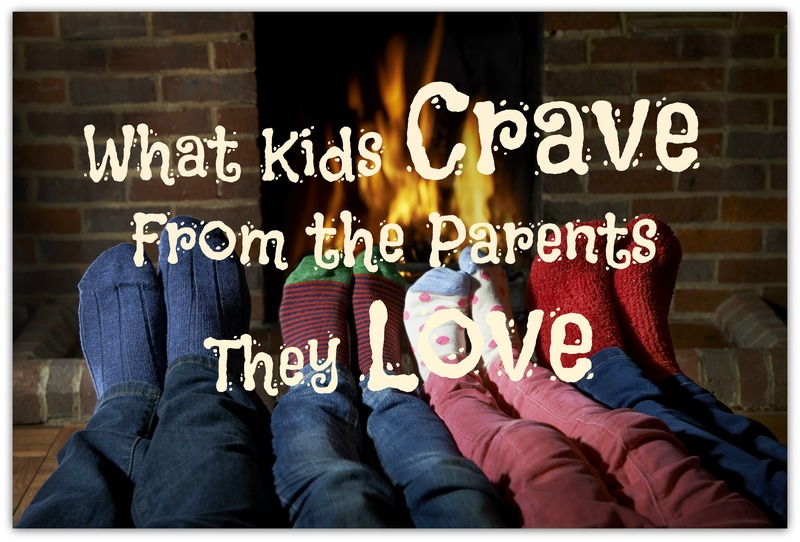 Kids crave things from the parents they love. For example one might think they crave “things” like an iPad. Actually, kids crave more than that. Belonging is a fundamental human need. 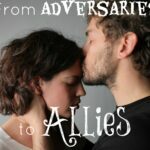 It’s based on an emotional bond between a child and her/his primary caretakers. Kids crave this bond with both parents. A securely formed bond facilitates healthy child development. Without it, kids become overly needy, anxious, demanding, and challenging. When internal cravings for connection are not met, kids resort to impulsive cravings for things. Remember, connection is what kids crave from the parents they love. Slow down your pace to allow for more non-structured time together. Power-down media devices and spend time interacting. Power-up your play mood. Build a tent in the family room, tickle, play a game, anything that brings the kid out in you. Spend time in relational conversation. This involves more listening and less lecturing. Tell your story. Share with your kids about what it was like for you growing up. When internal cravings for connection are not met, kids resort to impulsive cravings for things. Another key element in healthy child development is stability in the family. Kids need structure and routine. When things are constant and predictable kids feel secure. When the family environment is chaotic kids will react in one form or another. Some kids act-out, others act-up. Kids will become overly irresponsible or overly responsible. Under-function or over-function. Neither is healthy for their development. Kids need parents to create and maintain a stable environment. It doesn’t have to be perfect or hassle-free. However, they want parents to have their act together and take charge. If not, kids will strip power from their parents and create bedlam. This is too much power for children. They really don’t want it. Yet, it’s their reaction to an unstable environment. You may be wondering, “how do I create stability?”. It starts and ends with you as a parent. As you focus on your internal health and well-being, your kids will mirror off you. If you ignore your internal health, your kids will react negatively. The most important investment you can make in your kids is the your investment in personal health and well-being. It starts and ends with you. The most important investment you can make in your kids is the your investment in personal health and well-being. It starts and ends with you. The striving for independence is consistent with healthy child and adolescent development. It begins in toddlerhood and extends into adulthood. Age-appropriate independence is something you should foster in your parenting style. I call it “freedom within limits”. Try to avoid parenting extremes. Overly dependent children rely on parents to do everything for them. Overly independent children are given too much power and lack the maturity to make good decisions. Both extremes create power struggles. Note in this scenario, two options exist from which to choose. One has immediate gratification, yet less time for video gaming. The other has delayed gratification with more time for fun. The teen chooses the option he wants. The key to the success of the “freedom within limits” option is for the parent to enforce the limit. If not, the teen holds power over the parent. While they may not show it, kids prefer their parents enforce “freedom within limits”. Trust me, I hear it a lot when I counsel teens. Speaking of trust, kids crave this too. This takes work on both sides. However, if you form a healthy connection, establish a stable environment, and offer freedom within limits, kids are more likely to become trustworthy. I think love and acceptance go hand-in-hand for kids. They want to know that they are loved unconditionally. As kids transition into teens they want to be accepted by their parents, not based on what they do but who they are. They can easily be confused, internalize mixed messages, and think they are loved and accepted when they meet their parents’ approval. Identity formation is a key developmental task in adolescence. Teens try on many “identity hats” before they figure themselves out. Be patient with your teen through this process and try not to freak out and over-react. If you remain calm and keep the lines of communication open, they will likely heed your advice over another teen. Think about it. Lastly, avoid placing pressure on your kids to live up to some idealized view you have of them. This is especially true for teens. Accept them for who they are, not what you envision. Introduce them to opportunities to grow and develop but do not force them into a mold not suited for them. Listen to their interests. Give them space to explore and discover who they are and what they enjoy. It may be trial and error but eventually they will figure things out. Parenting is more challenging today than in the past for several reasons. As I stated earlier, the pace of life is faster. In most households today, both parents are employed outside the home. This can disrupt the rhythm of connection. Culture also places high expectations on the role of parents as facilitators of their kids’ interests and demands. Finally, parents compete with a social media saturated society that exposes kids to things far beyond their maturity level. Here are some tips in closing to think about when it comes to responding to the things kids crave: connection, stability, some independence, and love and acceptance. Slow down the pace of life and create space for meaningful connection. Invest regular time in your personal well-being. Read my series of blogs “My Total Fitness Plan” and order my workbook to get started. Consider ways you can offer each of your kids/teens age-appropriate “freedom within limits”. Read my book: “Bringing Respect Back: Communicating Without the Conflict” for specific strategies for parenting your kids. Tell your kids you love them every day. Also, be sure to convey it after you enforce a consequence for inappropriate behavior. If you can act on one thing today to satisfy your child’s and/or teen’s craving, what would it be? How will you do it? When will it happen today? It doesn’t take much to satisfy a craving. It begins with a simple act on your part. As you develop consistency over time you will see a noticeable difference in your kids.